A University of Toronto legal startup that uses artificial intelligence to predict the outcomes of tax and employment law cases has raised US$7 million in financing – money that will be used to fund a U.S. expansion. 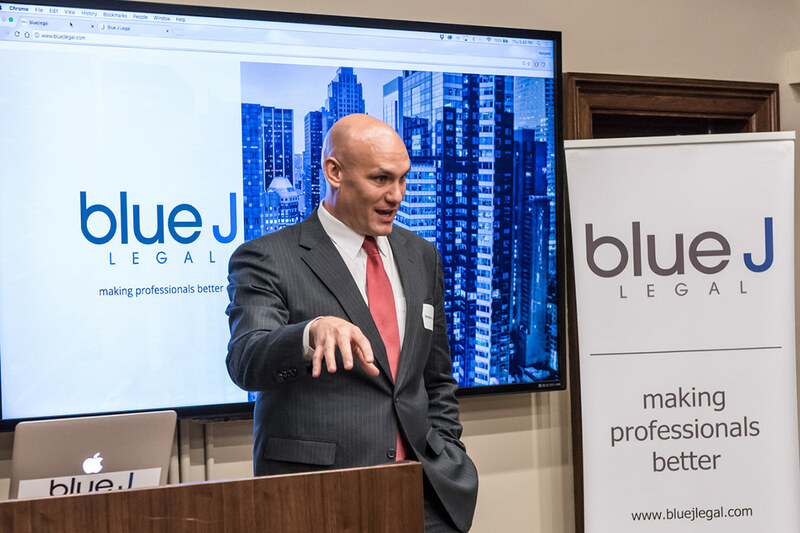 Co-founded by three members of U of T’s Faculty of Law, Blue J Legal said today the financing round will allow the company to “establish a foothold” in the huge U.S. legal market while enhancing its existing products and growing its 30-person team. The financing was led by Toronto’s Relay Ventures and included participation from Silicon Valley's LDV Partners. Existing investors Mistral Venture Partners and BDC Capital were also part of the financing round. “We’re looking to launch our U.S. Tax Foresight product by the middle of the year – the end of the second quarter,” said Blue J CEO Benjamin Alarie in an interview with U of T News. Alarie co-founded Blue J in 2015 alongside fellow Faculty of Law members Albert Yoon and Anthony Niblett, as well as former IBM enterprise software developer Brett Janssen. Alarie came up with the idea after being asked to judge an IBM Watson competition at U of T, which, incidentally, helped launch another U of T legal search startup called ROSS Intelligence. Blue J’s machine learning algorithms are used to scan thousands of judicial decisions in search of patterns that can help predict the outcome of future cases. The findings are then presented to lawyers along with the relevant case law, saving time and money. The startup received support from the Creative Destruction Lab and UTEST, two of U of T's nine on-campus entrepreneurship hubs. While Blue J initially focused on tax law in Canada – Alarie’s area of expertise – the startup launched an employment law tool in Canada last year in response to demand from clients. Alarie said the plan is for Blue J to eventually expand its platform into other areas of the U.S. legal field.